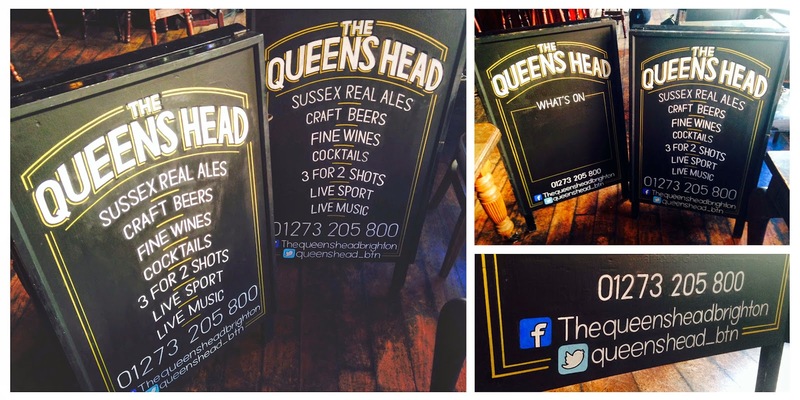 Blackboard Chalkboard by Ollie Stone: A-board sign writing in Brighton. The Queens Head Pub. A-board sign writing in Brighton. The Queens Head Pub.